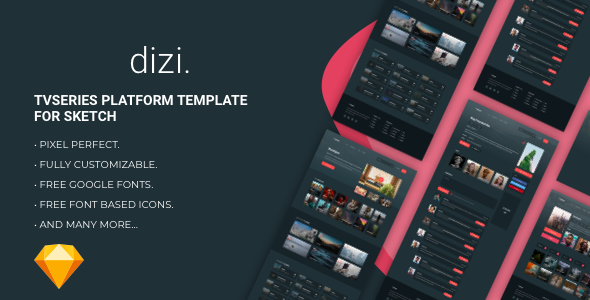 Dizi – TV Series template. 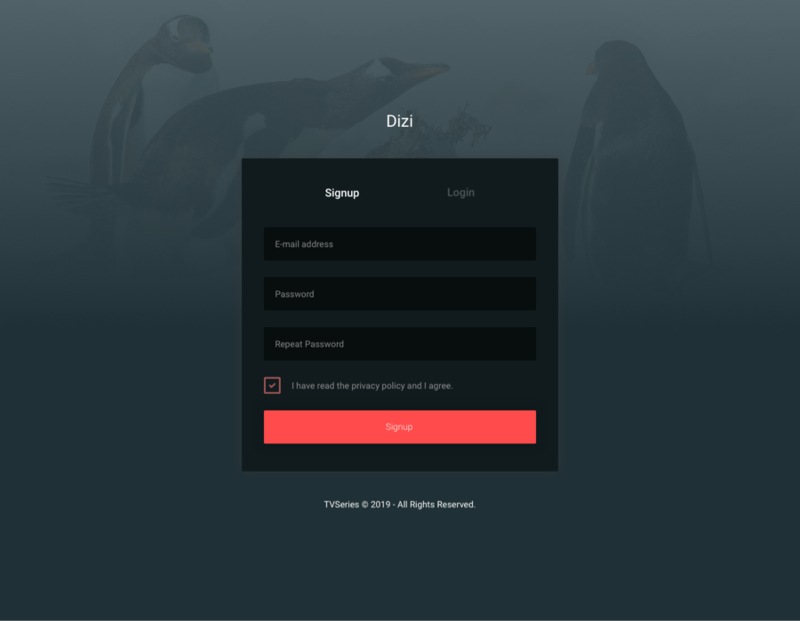 With this template you can provide a new image to your TV series sites. It is completely bootstrap-compatible. 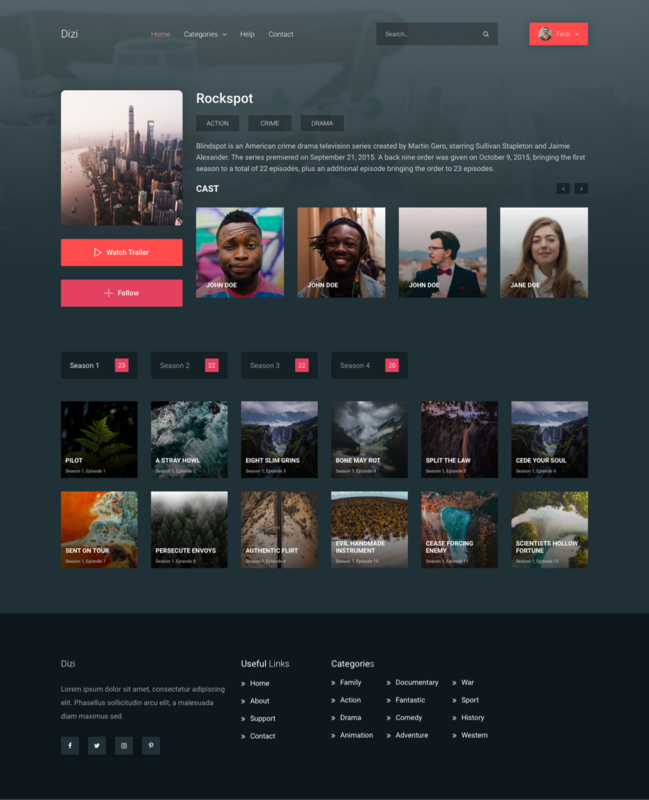 Note: All images in the mockups are just used for Preview Purpose Only. They are not part of the template and NOT included in the final purchase files. 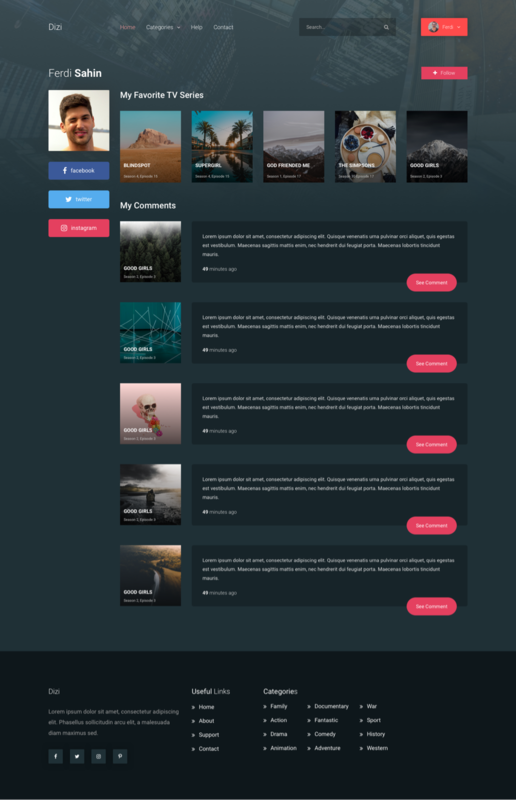 If you have any questions about customization of this template which are not covered in the documentation feel free to ask a question in the comment section or contact me directly via email form on my profile page.